Super Bowl XLIV might be in the books but that doesn't mean the partying has to stop. The events may come to a close in Miami, which hosted the event, but they're just getting started in New Orleans where the Saints celebrate their first franchise win. 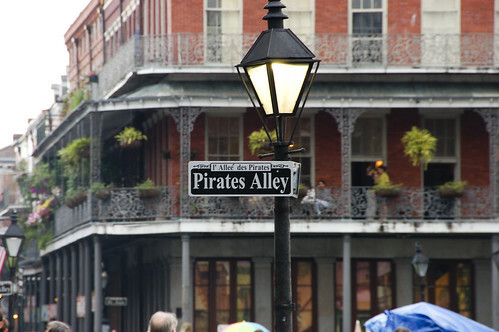 And what better time than now to head to the Big Easy? And here at Fit-Ink, we're not talking about partying 24/7, although that's a definite bonus, but we're looking at active endeavors that can lure you in. While you may not be able to make it to Bourbon Street tonight for the revelry, make your mark on the Super Bowl champions' city later this month at the Rock 'n' Roll Mardi Gras race. With half marathon and marathon options, you have no excuse for skipping this opportunity to run through the bayou on February 28. You'll be greeted with a Mardi Gras-like celebration upon completion but can avoid the crowds...what's not to love? Or if a late February race isn't in the cards, consider the Ironman 70.3 New Orleans on April 18. Yes, it's a bit of a conflict for those running the Boston Marathon the following day, but many triathletes looking to start racing earlier in the season would take a half-Ironman over a marathon any day. Hot, even humid, but it's conditions many of us four-season folk wait until July or August to race, and it's keeps us on top of our conditioning when it's cold. And if you're lucky enough, you may even be able to boast that you raced the same course as Chris McCormack--he finished second here in 2009--and Natasha Badmann, who set the course record for the women.